This short introduction to category theory is for readers with relatively little mathematical background. At its heart is the concept of a universal property, important throughout mathematics. For each new categorical concept, a generous supply of examples is provided, taken from different parts of mathematics. These notes present the important notions from category theory. The intention is to provide a fairly good skill in manipulating with those concepts formally. This text introduces category theory in the calculational style of the proofs. From the table of contents: Fundamentals (Contravariant functors and dual categories); Fundamentals of Abelian categories; Special functors and subcategories; Metatheorems; Functor categories; Injective envelopes; Embedding theorems. 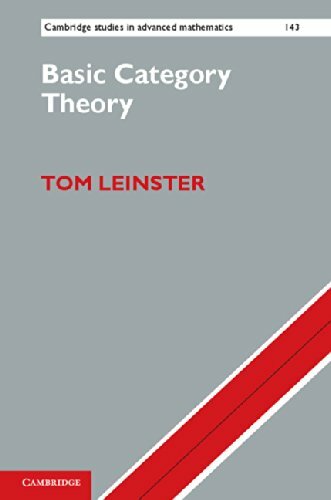 A modern introduction to the theory of structures via the language of category theory, the emphasis is on concrete categories. The first five chapters present the basic theory, while the last two contain more recent research results. Category theory is the kind of math that is particularly well suited for the minds of programmers. It deals with the kind of structure that makes programs composable. And I will argue strongly that composition is the essence of programming.